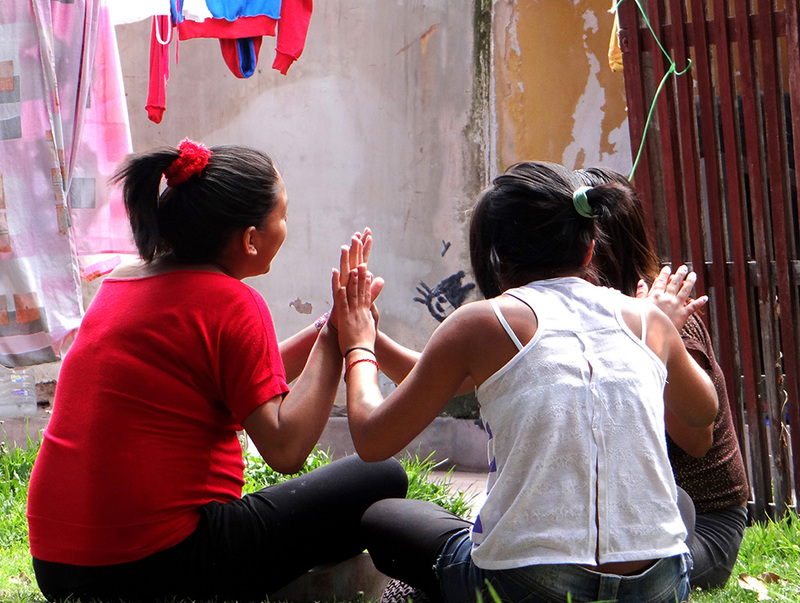 Dia is a social organization in Ayacucho which specifically targets the problems of underprivileged teenage girls. Through different projects the organization wants to strengthen the self-reliance and independence of girls in risk situations. DIA offers integral home guidance to teenage mothers in order to make sure that they are followed up decently by trained nurses during pregnancy. They pay special attention to the personal development of the mother. That way DIA wants to offer better prospects to both the mother and the child. DIA also built a crisis shelter for girls and their children. They can turn to this center whenever their security or integrity is threatened and when they cannot count on their own family. We are always looking for suitable follow-up support and structural possibilities to improve their living conditions. 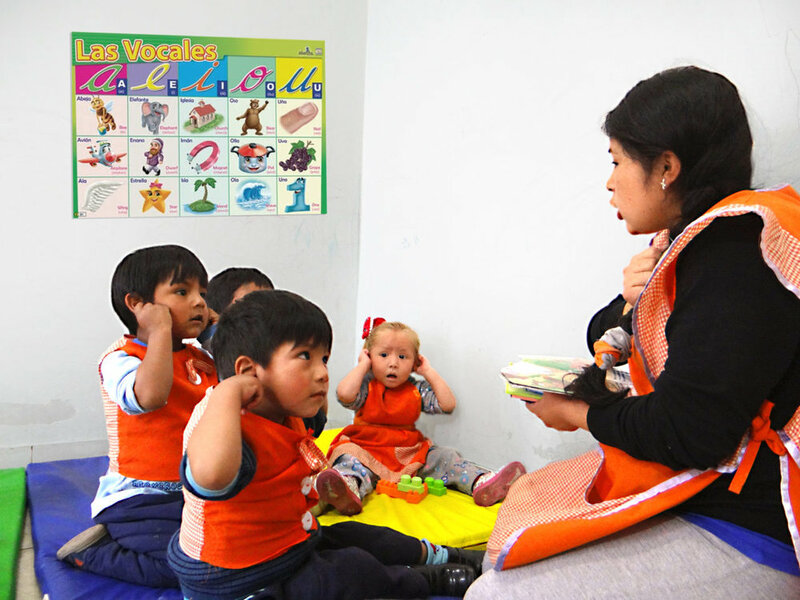 Day care allows young mothers to work and to develop themselves. DIA has set up a day-care center in order to enable mothers who cannot rely on their own family to work at a stable future, for themselves as well as for their children. EPA stands for Emprendimiento Productivo Adolescente, which means Productive entrepreneurship for the adolescent. EPA strives for a strengthening of the entrepreneurship of the teenage girls of DIA, with the aim to generate their own income. Apart from an individual course in the direction of the labour market, the girls learn the necessary skills and they can try out different jobs. CDA: Centro del desarrollo del adolescente = Centre for the development of the adolescent, is a pilot project whichsupports the teachers in two high schools during a period of two years, with an exceptionally vulnerable target group, during the hours that there are no lessons. 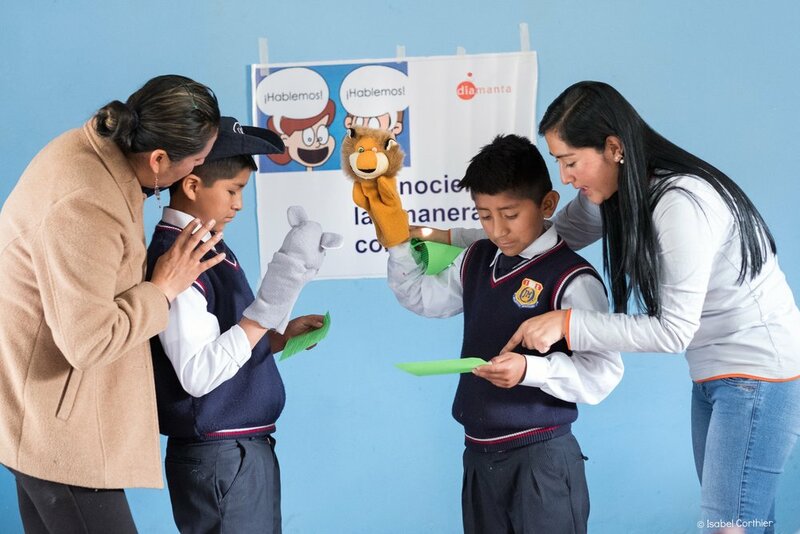 Through interactive workshops we preentively try to target skills and knowledge on themes such as sexuality, aggression, emotional well-being, conflict management, use of means, etc. Warmi targets the improvement of the living conditions of the knitting mothers within DIA, through means of individual coaching and group sessions. The coaching is based on three components, i.e. personal development, entrepreneurship and the living conditions of the family.